The exchange programme with Georgetown University started in 2017 to enable undergraduate students to attend a summer session at Georgetown University. The scheme was initially established with a donation from the Annual Fund, a fund generated through the financial support of Johnians in order to support new and innovative projects. During the summer months, Georgetown University becomes home to international students from around the world. The campus is situated in a beautiful, historic neighbourhood of Washington, D.C., giving international students the unique opportunity to fully engage in and experience the rich culture and diversity of the US capital. At Georgetown, St John's students will have the opportunity to engage with former diplomats, public health officials, economists, scientists, and experts across a wide breadth of professions. They will also be invited to take part in extracurricular events and cultural activities. The students will be enrolled as full-time students and will have to choose two three-credit summer session undergraduate level courses (for a total of six academic credits). 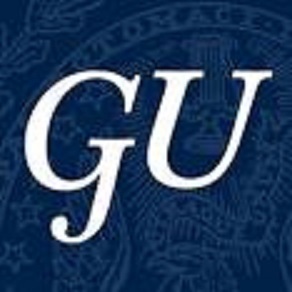 In order to view the full list of undergraduate summer courses which are available at Georgetown University, please click here and select the 'Main Second Session' from the drop-down menu. The list reflects the courses which were on offer in Summer 2018; the updated list will be posted by 15th December with a few possible changes taking place in January. The Georgetown Exchange is usually advertised to students in November with a deadline in December. The exact dates will be posted on this webpage closer to the date and a relevant announcement will be made by Student Services. Students who wish to apply will be asked to also attach: (i) a basic CV, and (ii) a personal statement, underlying which of the courses they would be interested in and how they feel that the exchange would benefit their academic and personal development.